At last week's Intel Developer Forum (IDF13) in San Francisco, Wind River introduced its open software environment for the creation of network switches for software defined networks and infrastructures. 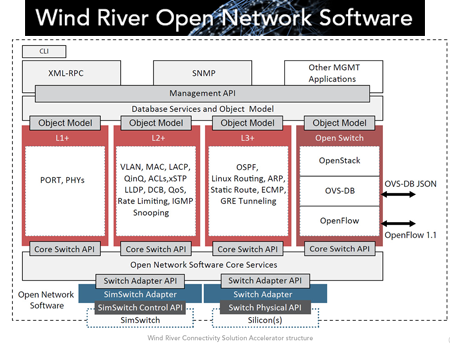 Wind River's Open Network Software encompasses control plane software, development tools, and the network resources needed to build software defined networking (SDN) solutions such as top-of-rack switches, micro-server platforms, and other network infrastructure elements. The company said its goal is to provide the tools and resources to create, modify, and update network layers' L1, L2+, and L3+ functionality. Open Network Software is designed with a flexible and modular open architecture with standard interfaces for management and control. Wind River solution supports the Intel Open Network Platform (ONP) Switch Reference Design and has been optimized for Intel hardware to provide high performance and flexibility. Early customers of Open Network Software include Fujitsu. 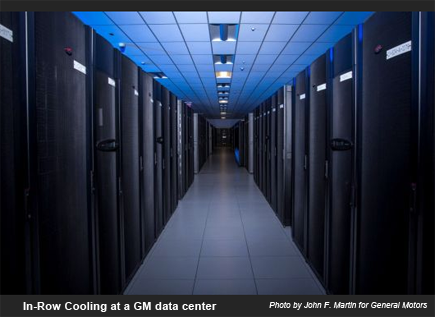 General Motors has deployed flywheels for battery-free backup power at its Enterprise Data Center, which has earned Gold certification by the U.S. Green Building Council’s LEED, or Leadership in Energy and Environmental Design, program. GM switched from a space-hogging, battery-based Uninterruptible Power Supply to one powered by mechanical flywheels and a diesel engine. The flywheel also avoids the use of the equivalent of 12,000 car batteries, along with the heating and cooling systems required to keep the batteries at their optimal temperature. The facility also features in-row cooling. Together with the flywheel, this innovation contribute to a 70 percent reduction in power usage. Fewer than 5 percent of data centers in the U.S. achieve LEED certification, according to the building council. GM’s data hub on its Technical Center campus in this Detroit suburb is the company’s fifth LEED-certified facility and second brownfield project. 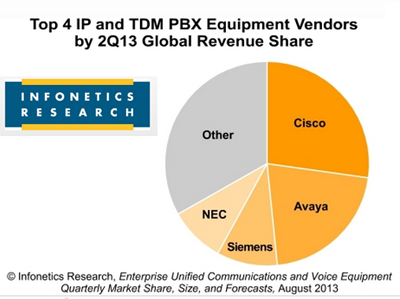 Worldwide revenue for enterprise PBXs (TDM, hybrid, pure IP) fell 9% in 2Q13 from 2Q12, to $1.81 billion, according to a new report from Infonetics. Infonetics expects the UC application segment to grow 21.3% in 2013, and the enterprise PBX market to decline 2.6%. Gordon Stitt, the founder and former CEO of Extreme Networks, will be joining Nebula, a start-up focused on the enterprise cloud space, as CEO effective September 23rd. Nebula is developing an integrated hardware and software appliance providing distributed compute, storage, and network services in a unified system. Prior to founding Extreme, Stitt co-founded Network Peripherals, one of the pioneers of high-performance enterprise networking, where he served as VP of Marketing. Stitt currently serves on the board of Barracuda Networks, and previously served on the boards of RGB Networks and SkyFire Labs. He also serves as chair of the industry advisory board for the Computer Engineering department at Santa Clara University where he earned a bachelor’s degree in electrical engineering and computer science. He also holds an MBA from the Haas School of Business at University of California, Berkeley. 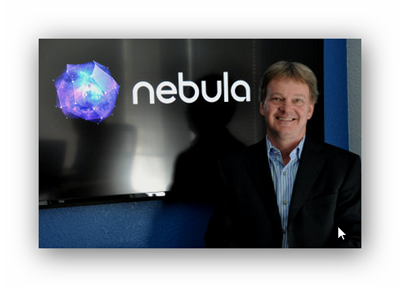 "Nebula has achieved tremendous market traction in a short period of time,” said Chris C. Kemp, Nebula’s Founder & CEO. “I couldn’t ask for a better partner to help me build Nebula into a company of consequence." Nebula is privately held and venture‐funded by Kleiner Perkins Caufield & Byers, Comcast Ventures, Highland Capital Partners. Other investors include Innovation Endeavors, and Google's first investors, Andy Bechtolsheim, David Cheriton and Ram Shriram. Verizon will sell 40% of its historic, 32-floor building at 140 West St. in lower Manhattan to a condominium developer for $274 million. The deal includes 22 floors and one of the five sub-basement levels of the NYC landmark. Since the 140 West St. building contains switching and other telecommunications equipment, the sale must be approved by the New York Public Service Commission. Magnum Real Estate Group is the buyer. Verizon also announced plans to return its headquarters to space it owns in 1095 Ave. of the Americas in midtown Manhattan. 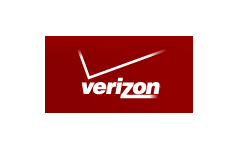 After the sale, approximately 600 Verizon employees will occupy the lower floors of 140 West St., maintaining Verizon's significant presence in lower Manhattan. "We are pleased to continue to move forward with the conversion of our building on West Street from a traditional telecommunications hub to a multipurpose building that will contribute meaningfully to the city's long-term vision for a vibrant World Trade Center neighborhood," said John M. Vazquez, Verizon senior vice president of global real estate. "We believe that with our co-owners, Magnum Real Estate Group, we will stand out in what already has become a desirable tourist and residential center for New York City." The Verizon building, previously known as the Barclay-Vesey Building and the New York Telephone Company Building, was opened in 1927. It served as the headquarters of New York Telephone, then NYNEX, Bell Atlantic and finally Verizon. The front of the building was damaged by the collapse of the World Trade Center on September 11, 2001. Deutsche Telekom is using Cisco’s Videoscape Distribution Suite (VDS) enhanced content delivery technology to power its recently launched TV Everywhere service called "Entertain to go." Cisco VDS, part of Cisco’s Videoscape Unity TV services delivery platform, enables the distribution of video content across multiple screens, protocols, applications and networks. VDS serves as the network distribution engine behind the Videoscape architecture. It is an open, component-based, complete, interoperable and holistic solution that bridges cloud and network functionality – providing greater levels of insight into, and management of, content delivery networks. 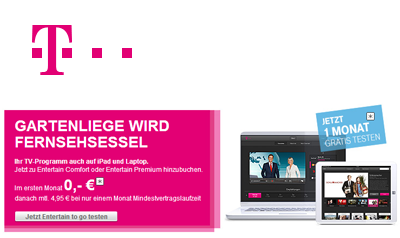 Deutsche Telekom’s "Entertain to go" service allows subscribers of its Entertain IPTV service to view 40 TV channels on their PCs and mobile devices, including smartphones and tablets. Priced at €4.95 per-month the service gives access to the Entertain content on devices that are connected to the users’ home WiFi network, as well as allowing them to view on demand content from the Entertain video library. Celeno Communications announced availability of its a new chip supporting the new 802.11ac standard. The Celeno CL2330 supports 3 radios, 3 MIMO streams configuration, operating at 80MHz and achieving 1.3Gbps PHY speed. The CL2330 operates in both 2.4GHz and uncongested 5GHz frequency channels and works with legacy home networks as well as new, 802.11ac 5GHz powered portable devices for a superior video experience. Celeno’s said its OptimizAIR technology drives the 802.11ac standard farther and stronger to achieve whole home coverage as well as optimize performance for wireless video and multiple data clients with its innovative air time management and scheduled MAC architecture. Celeno’s OptimizAIR also employs interference mitigation techniques which are becoming critical in the increasingly saturated 5GHz band. Quantenna Communications and STMicroelectronics announced a single board Wi-Fi enabled set-top box reference design platform that features Quantenna’s QSR1000 802.11ac Wi-Fi chipset and ST’s STiH206 Liege platform. Using Quantenna’s 4x4 802.11ac Wi-Fi, the combined solution will deliver the world’s fastest and most reliable wireless streaming of bandwidth-intensive data, such as video content. 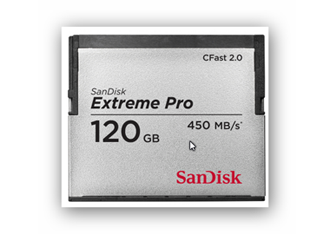 SanDisk introduced what it calls "the world's fastest memory card" -- the Extreme Pro CFastTM 2.0 , designed for professional broadcast, cinematography and next-generation professional photography. The 120GB SanDisk Extreme Pro CFast 2.0 memory card boasts read speeds of up to 450MB/s (3000X) for maximum workflow efficiency and write speeds up to 350MB/s (2333X) for faster recording performance. This is up to double the shot speed of today’s fastest cards. SanDisk said the new memory can move large files faster than ever. For example, a 100GB file takes nearly 20 minutes to transfer from CompactFlash at 90MB/s. With the SanDisk Extreme Pro CFast 2.0 memory card, it takes only four minutes to transfer at 450MB/s. 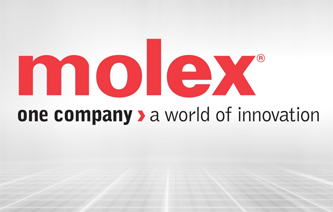 Molex has acquired FCT Electronics Group, specializes in designing and manufacturing custom mixed-layout connectors and cable assemblies. FCT Electronics Group was founded in 1972 and is based in Munich, Germany.